â&#x20AC;˘ Modern technology brings incredible marketing solutions that enable you to reach customers fast. â&#x20AC;˘ Bulk SMS is one of those. By using a bulk SMS API, you can integrate your application to a robust system that can touch a large customer base within no time. • When the functionality is built, it becomes easy to boost the sales, interact with the customer, and take the retention levels up. • However, it is critical to choose the bulk SMS provider carefully which is a crucial factor to achieve long-term success. 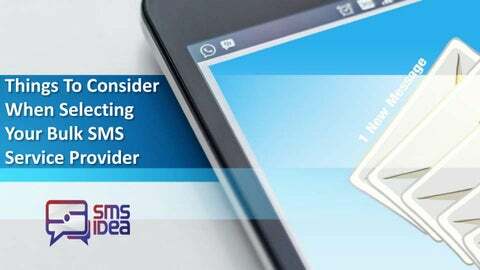 • What things should you consider while selecting a bulk SMS provider? Here are some tips. Multiple options for integrating SMS API • When you choose an SMS gateway, make sure it has various SMS API options. • Thus, you will be in a position to find out and integrate the most beneficial one. • When you interface it with the mobile or desktop app, you get a smooth and swift platform that can send multiple messages in one go. • Always prefer automated alerts • When you send bulk SMS, you need to have automated alerts that can allow you to set up triggers. • They send out reminders to the customers, members and employees. Choose a service provider with a global reach • In the modern world, you can’t restrict your business to a specific geography. Your customers may spread around the globe. • In such a scenario, how can the bulk SMS provider be confined to a specific area? Choose a company that has the capability of sending the SMS internationally. • It will enhance the relationship, customer retention and scheduling for the business. • The service provider should give two-way communication if required • Though the bulk SMS service is intended for oneway communication, at times people want to establish a conversation link using it. • Therefore, it is essential that the service provider has the technical feasibility to offer the same. • Research says that almost half of the receivers of bulk SMS want to engage with the company by the two-way communication channel. Prefer a reliable and scalable service provider • Both reliability and scalability are two qualities that determine the effectiveness of a bulk SMS provider. The system should be robust, covering a broad spectrum of networks. • Also, the infrastructure should cope up the ever-increasing business demands. 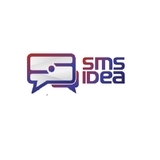 • Last, but not least; connect to a company that offers bulk SMS services at most reasonable rates.